Let’s face it: simply telling our patients what they should do is not always enough to motivate them to change. If it was, everyone would being getting much better results, patient recovery time would improve, healthcare costs would come down, and hospital stays would be reduced. Unfortunately, this is not the reality, and, often, hard-line approaches to encourage patient change may sabotage the results leading to patient shut-downs. In order to achieve better results, RDNs can make simple changes that are easy to implement. Start by using tried and true techniques such as smart goals, motivational interviewing, coaching, stages of changes, along with different verbiage and body language. Couple these with other techniques to customize your messages for each of your patients using better listening skills even when time constraints are tight. In this practical webinar, Marlisa Brown, MS, RD, CDE, CDN, will share actionable skills to help you to motivate your patients to overcome their roadblocks and achieve better compliance and long term success. The live version of this webinar was presented on Wednesday, August 8th, 2018 from 2-3pm ET by Marlisa Brown, MS, RD, CDE, CDN. This recorded version is approved for 1 hour of continuing education credit. RDs should list code 175 for this activity type. Apply motivational interviewing techniques in their practice. List routines and personal biases that can shut down patient communication and employ methods to overcome these routines and biases. Identify coaching and listening techniques that can help achieve better patient participation. Identify each stage of change and list appropriate treatment methods for use with patients in each stage. Marlisa Brown MS, RDN, CDE, CDN, is an award-winning registered dietitian, chef, author and public speaker. 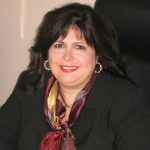 She’ is president of Total Wellness Inc., in Deer Park, NY, a nutritional consulting company for over 2 ½ decades, specializing in diabetes, cardiovascular disease, gastrointestinal disorders, gluten-free diets, culinary programs, corporate wellness, and medical nutrition therapies., Marlisa has written 3 books on gluten-free diets and foods allergies and has contributed to 11 additional programs and books. Marlisa Brown MS, RDN, CDE, CDN, has no relevant disclosures to report. She has certified that no conflict of interest exists for this program. View our disclosure policy.